According to unofficial Russian sources, the Kobalt-M (11F695M) spacecraft was a modified version of the Yantar-4K2 (11F695) high-resolution imaging reconnaissance satellite, which was first launched in 1981 and was in operational use since 1982. A 6.6-6.7-ton Kobalt-M was developed at TsSKB Progress design bureau in Samara and manufactured by OAO Arsenal of St Petersburg. Like its predecessor, the satellite was designed to return large-format film (as wide as 60 centimeters) back to Earth onboard two small capsules, as well as inside the main cone-shaped reentry vehicle after about 120 days in orbit. The system turned out to be the most robust asset in the post-Soviet period thanks to its relative low cost and the simplicity of correlating imagery to the original topography. Kobalt-M satellites were originally launched by Soyuz-U rockets from Plesetsk into the 170 by 370-kilometer orbits with the inclination 62.8 - 67.2 degrees toward the Equator. (383) Beginning in 2011, the orbital inclination for Kobalt-M missions was increased to 81.4 degrees and in 2014, the launches were switched to Soyuz-2-1a rocket. Thanks to its propulsion system, Yantar and Kobalt satellites can conduct descent maneuvers during the mission in order to focus on the areas of interest. The resolution of obtained images reportedly reaches 0.3 meters. After landing in one of pre-determined sites near the city of Orenburg, recovered film is delivered to the Center of Space Reconnaissance for processing and analysis. The Main Intelligence Directorate of the Chief of Staff is reportedly a customer of the information obtained by this type of satellites. Although Yantar or Kobalt spacecraft had never formed an orbital network, up 10 such satellites could be launched annually during the Soviet period, thus permanently maintaining at least one of these assets in the Earth orbit. The Kobalt-M series was expected to be the last reconnaissance satellites designed to physically return film to Earth to be replaced by the Persona family of satellites, which were designed to transmit imagery to Earth via radio channels. 2004 Sept. 24: A Soyuz-U rocket blasted off from the nation's northern cosmodrome in Plesetsk on September 24, 2004, at 20:50 Moscow Time, and successfully delivered a military payload designated as Kosmos-2410 nine minutes later. 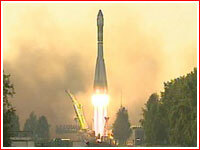 A State Commission led by Lt. General Vladimir Popovkin, Commander of the Russian Space Forces, KVR, oversaw the launch. 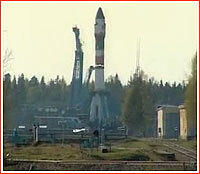 According to KVR, ground control established contact with the spacecraft at 21:01 Moscow Time. Russian media reported that the payload initiated flight testing of the new generation of spacecraft developed by TsSKB Progress in Samara and OAO MZ Arsenal in St. Petersburg. Reports seemed to support speculations that Russia has finally introduced a long-awaited family of spacecraft, known as Liana, capable of providing electronic intelligence over both land and sea. However in a communication with the publisher of this web site, Ted Molczan, a prominent satellite observer, reported that Kosmos-2410 was circling the Earth in a 170 by 360-kilometer orbit, which would be too low for most electronic intelligence purposes and too elliptical for practical radar observations. If Kosmos-2410 will not maneuver into higher circular orbit in the following days, its flight profile would resemble that of a photo-reconnaissance satellite, such as Kobalt. As it transpired later, it was indeed the Kobalt-M photo-reconnaissance satellite, the latest upgrade of the Yantar-4K2 (11F695) spacecraft. Designed for a 120-day life span, the Kobalt-M reportedly experienced problems with its flight control system and its main reentry capsule was sent back to Earth two weeks ahead of schedule on January 10, 2005. However after weeks of search around the landing area near the city of Orenburg in southern Russia, the Russian military concluded that the lander had burned up in the atmosphere, as a result of a botched reentry. 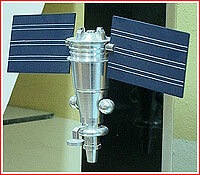 2006 May 3: A new imaging satellite renewed Russia's dwindling reconnaissance network. The Soyuz-U rocket blasted off from Pad 2 at Site 16 of the nation's northern cosmodrome in Plesetsk at 21:38 Moscow Time on May 3, 2006. It successfully reached the orbit at 21:47 Moscow Time, releasing a classified payload, officially identified as Kosmos-2420. A well-informed Kommersant newspaper described the satellite as a modified version of the Yantar-4K2 (11F695) satellite designated Kobalt-M. According to the paper, the launch of the satellite was previously scheduled for the middle of May 2006, however its pre-launch processing was accelerated in light of the decommissioning of the last US-PU electronic intelligence spacecraft -- reportedly the last Russian reconnaissance asset in the Earth orbit at the time. Kommersant predicted that upon the completion of its mission, Kobalt-M would be replaced by the Don spy satellite, also known as Orlets-1. The NORAD radar found Kosmos-2420 in the 180 by 360-kilometer orbit with the inclination 67.15 degrees toward the Equator, which is consistent with the orbital parameters of the Kobalt and Yantar-4KS-type satellites. It received international designation 2006-017A. The spacecraft reportedly operated for 76 days. 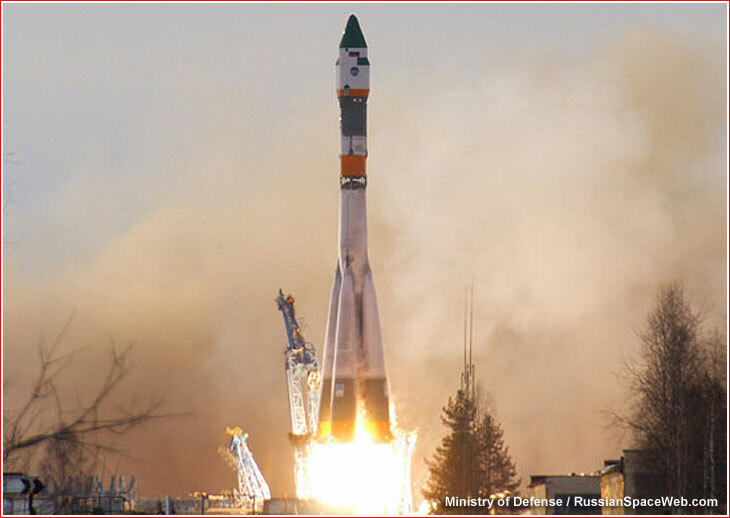 2007 June 7: The Russian military launched its first military payload Thursday, from nation's northern cosmodrome. The Soyuz-U rocket lifted off from Plesetsk on June 7, 2007, at 22:00 Moscow Time, (18:00 GMT) carrying a classified military payload, identified as Kosmos-2427 in the official Russian sources. Based on information from the US radar, the satellite was circling the Earth in the 180 by 360-kilometer orbit with the inclination 67.15 degrees toward the Equator. 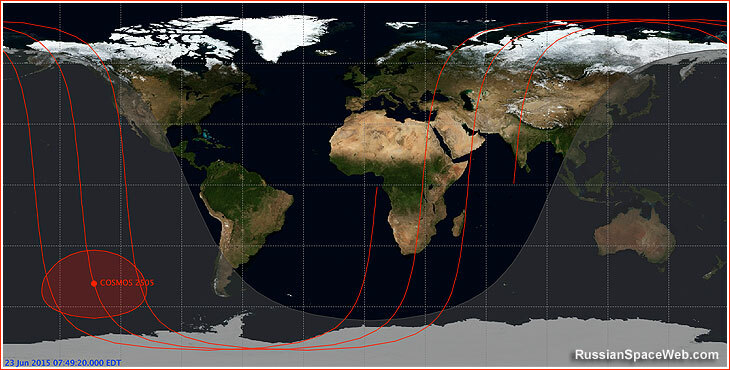 Orbit parameters match those of optical reconnaissance satellites, identified in the open Russian press as Kobalt-M. According to various sources, the satellite is designed for 60-120-day operational life span and uses reentry capsules to deliver film with the images of the Earth surface. Following the previous launch of the Kobalt-M satellite, which took place on May 3, 2006, the commander of space forces, KVR, Col. Gen. Vladimir Popovkin, promised to launch one satellite of this type annually. In the aftermath of the latest launch, emergency crews on Russia's Yamal Peninsula were searching for the stage of the Soyuz U rocket, the Russian official news agency ITAR-TASS reported. The stage reportedly impacted 60-80 kilometers from the settlement of Yar-Sale, as planned. On the eve of the launch, 65 people were evacuated from this sparsely populated area. The spacecraft was reportedly deorbited after 76 days of operation. 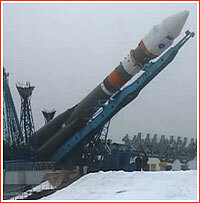 2008 Nov. 14: Russian military launched a secret payload from the nation's northern launch site, the official media said. The Soyuz-U rocket lifted off from Plesetsk on Nov. 14, 2008, at 18:50 Moscow Time and successfully delivered its payload into orbit nine minutes later, the representative of the Russian space forces said. 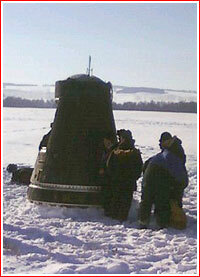 The spacecraft was officially identified as Kosmos-2445. It was believed to be Kobalt-M satellite. The spacecraft was deorbited on Feb. 23, 2009, after 101 days of operation. 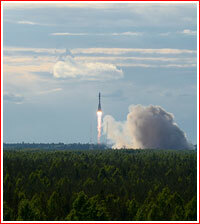 2009 April 29: Russia launched an imaging reconnaissance spacecraft from its northern cosmodrome. 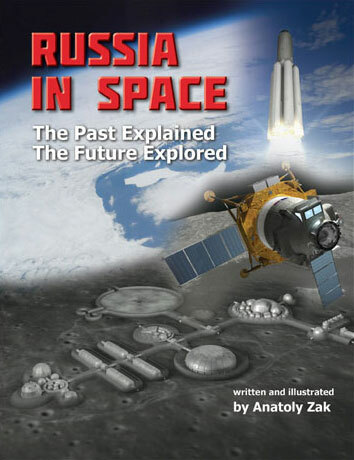 According to the official Russian media, the Soyuz-U rocket lifted off from launch Pad 2 at Site 16 in Plesetsk on April 29, 2009, at 20:58 Moscow Time, carrying a classified satellite designated Kosmos-2450. The spacecraft successfully established contact with ground control at 21:08 Moscow Time, a representative of the Russia's space forces said. Based on the fact the the satellite circled the Earth in the 179 by 360-kilometer orbit with an inclination 67.1 degrees, it was believed to be the fourth satellite in the Kobalt-M series. 2010 April 16: Russia launched a classified military payload, believed to be a Kobalt-M optical intelligence satellite. According to the official Russian sources, the Soyuz-U rocket lifted off from Plesetsk on April 16, 2010, at 19:00 Moscow Time. Major General Oleg Ostapenko, the Commander of Space Forces, oversaw the launch, the official communique said. 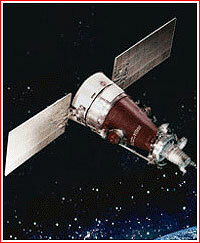 The vehicle's cargo was identified only as a Kosmos-series satellite, Kosmos-2462, a standard name for classified payloads. From Plesetsk, rockets of this type typically deliver imaging spy satellites and the Kobalt-M was the latest known type of such spacecraft in operation. According to Western radar, the satellite circled the Earth at the 350 by 180-kilometers orbit with the inclination 67.2 degrees toward the Equator. 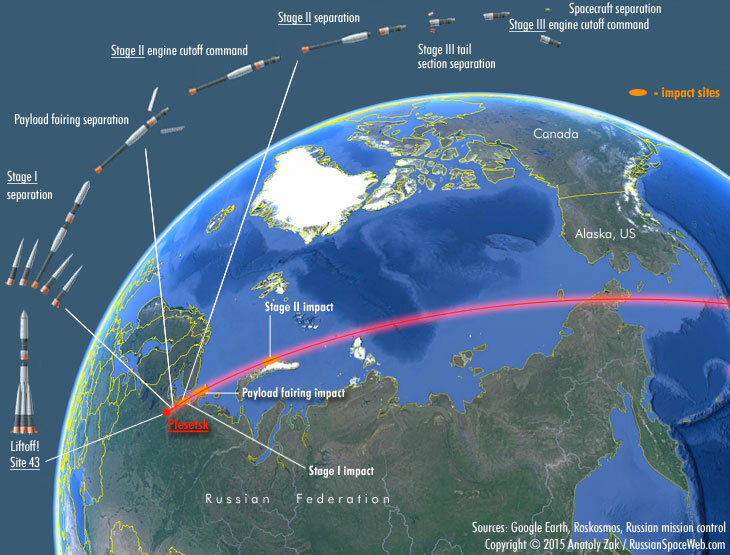 2011 June 27: Russia launched a classified military payload, believed to be a Kobalt-M optical intelligence satellite. According to the Russian space forces, a Soyuz-U rocket lifted off from Pad 2 at Site 16 in Plesetsk on June 27, 2011, at 20:00 Moscow Time. Eight minutes later, the spacecraft successfully separated from the upper stage in its planned orbit within the range of Russian ground control stations. The payload received an official designation Kosmos-2472, however in a tradition apparently started in the post-Soviet period, the military launch personnel at Plesetsk also informally nick-named the satellite, "Severyanochka" -- a term of endearment for a "girl from the north." The spacecraft was reportedly sent into an orbit with an inclination of 82 degrees, which would be considerably higher angle toward the Equator than that of its predecessors. According to some observers, the new orbital parameters could indicate additional tasks for the mission, such as radio eavesdropping. In another change, the satellite had established its planned contact with ground control at 23:17 Moscow Time, or during its second or third orbit, which was later than usual. 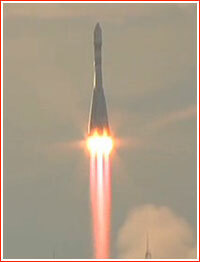 2012 May 17: Russia launched a classified military payload, believed to be a Kobalt-M optical reconnaissance satellite. According to the Russian space forces, a Soyuz-U rocket lifted off from Pad 2 at Site 16 in Plesetsk on May 17, 2012, at 18:05 Moscow Time. The spacecraft successfully separated from the upper stage at 18:13 Moscow Time and established contact with Russian ground control stations. The payload received an official designation Kosmos-2480. According to data from Western radar, the spacecraft entered a 187 by 255-kilometer orbit with an inclination of 81.4 degrees toward the Equator. These parameters resembled those pioneered by a previous Kobalt-M satellite. According to a spokesman for the Russian air and space defense forces Aleksei Zolotukhin, it was the last launch of the Soyuz-U rocket from Plesetsk. A semi-official Interfax news agency reported that more than 80 representatives of military space leadership, who had gathered in Plesetsk for a training meeting, had witnessed the liftoff. According to data from a US radar, the main descent module of Kosmos-2480 was deorbited on Sept. 24, 2012. 2014 May 6: In a midst of the Ukrainian crisis, Russian air and space forces, VKO, launched a classified payload, believed to be a reconnaissance satellite. A Soyuz-2.1a rocket lifted off from a snow-covered Pad No. 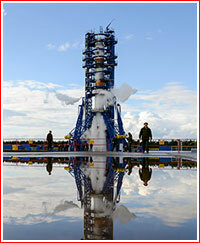 4 at Site 43 at Russia's northern cosmodrome in Plesetsk on May 6, 2014, at 17:48 Moscow Time. The launch vehicle likely carried a Kobalt-M imaging satellite. According to the official RIA Novosti news agency quoting a representative of VKO, ground stations were scheduled to establish contact with the spacecraft at 21:03 Moscow Time. The Zvezda TV channel then quoted the same VKO representative as confirming a successful separation of a military satellite from the third stage of its launch vehicle. The spacecraft received an official name Kosmos-2495. A Western radar found the satellite in a 176 by 285-kilometer orbit with an inclination 81.4 degrees toward the Equator. As it transpired, Kosmos-2495 was intended to fill the gap in the high-resolution imaging capability of the Russian military left by the temporary failure of the Persona No. 2 satellite shortly after its launch in 2013. According to official Russian sources, the spacecraft landed on Sept. 2, 2014, at 22:28 Moscow Time (18:28 GMT) in the Orenburg Region. A typical Soyuz rocket flight profile and a ground track to deliver Kobalt-M satellite into orbit with an inclination 81.4 degrees toward the Equator. 2015 June 5: Soyuz rocket returned to flight after a failed mission to deliver the Progress M-27M spacecraft into orbit on April 28. A Soyuz-2-1a rocket, lifted off from Pad No. 4 at Site 43 in Plesetsk on June 5, 2015, at 18:23:54 Moscow Time (15:24 GMT, 11:24 a.m. EDT), according to the official Russian media. The launch vehicle likely carried a Kobalt-M photographic reconnaissance satellite. After reaching orbit, it received an official designation Kosmos-2505. According to industry sources, it was the 92nd and final spacecraft in the Kobalt series. Within 24 hours after the launch, the Russian Ministry of Defense, reported that the satellite had established communications with ground control and had functioned normally. The Western radar found the spacecraft in the 179 by 298-kilometer orbit with an inclination 81.4 degrees toward the Equator. 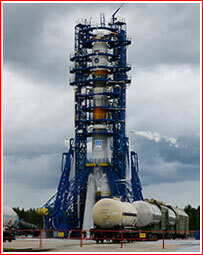 The preparation for the launch began in October 2014, when the TsSKB Progress in Samara completed the production of a Soyuz-2 rocket for the mission. In the meantime, MZ Arsenal in St. Petersburg, which assembles the Kobalt-M series, shipped the satellite to the launch site in November 2014. The liftoff was previously scheduled for May 15, 2015, however it had to be postponed after the Progress M-27M accident on April 28, 2015. According to a veteran historian and analyst of the Russian space program Phillip Clark, the main descent module of the Kosmos-2505 satellite reentered the Earth's atmosphere on Sept. 17, 2015, at 22:19 GMT. The reports soon came that the descent module had landed at a regular landing area in the Orenburg Region on the Russian border with Kazakhstan. Multiple witnesses in the area not far from the city of Orsk spotted the reentry and later posted photos of the descent module and its parachute on the ground, as well as the recovery team working at the landing site. The local media reported that the personnel had removed "something" from the capsule, which landed in the Sharlyksy District at 4:00 a.m. on September 17 (September 18, according to other sources) and proceeded to blow up the vehicle in a trench six meters deep. A reentry capsule from the spacecraft was reportedly sent back to Earth two weeks ahead of schedule. A small fragment from the mission was tracked on July 18-21, 2010. Three other fragments were catalogued around the time of the landing. Landing of a Kobalt-M satellite in 2012.